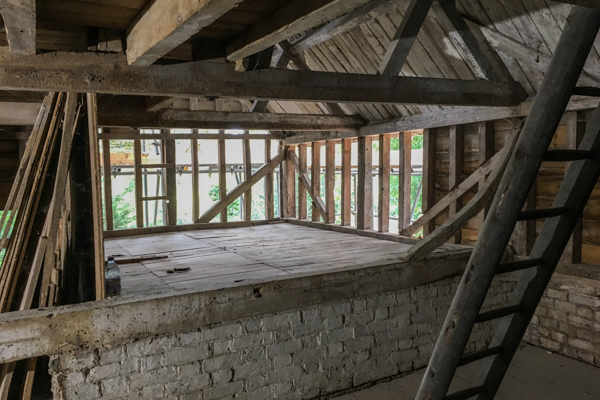 The critical load bearing structure of the south wall above the hursting frame was largely swept up in the vacuum cleaner. The wall plate had gone completely in places and we elected to replace it in oak. The wall plate now supports new Studwork beneath a new supporting horizontal beam above. It was a big relief when we removed the acro-props and nothing happened. 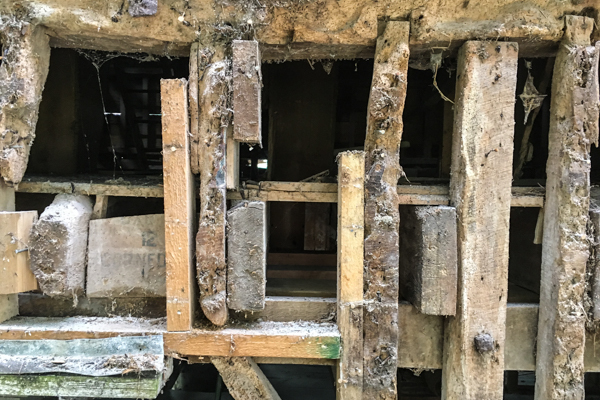 We unearthed a lot of distressed timbers eaten by rats, rot and the ravages of concrete misguidedly used to shore up failed joints. 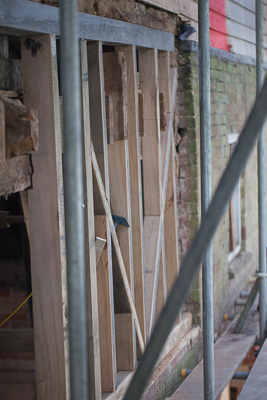 We have been exploring ways of exposing the timber structure of the mill to passers by. 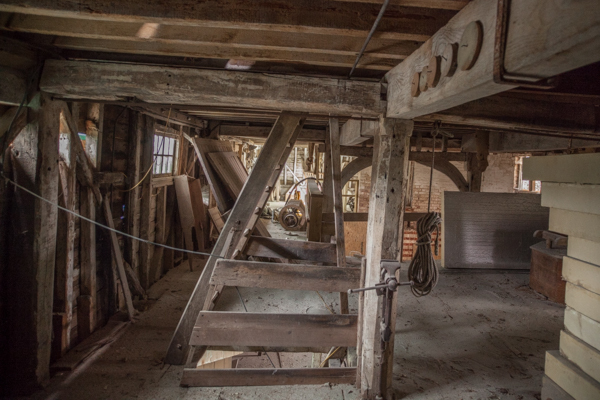 By glazing on the outside, we could leave the timbers in one corner of the mill exposed so that everyone can see a little history as they walk past. Here we are on the first floor (the Stone Floor) having cleaned all the paintwork off prior to woodworm spraying. Modern woodworm spray is relatively harmless - the active ingredient is that used in dealing with head lice. Harmless to humans nasty for bugs.